1. Do you NEED a photographer? I won’t lie and say that every couple needs a photographer at their wedding. Wedding photography is a luxury! 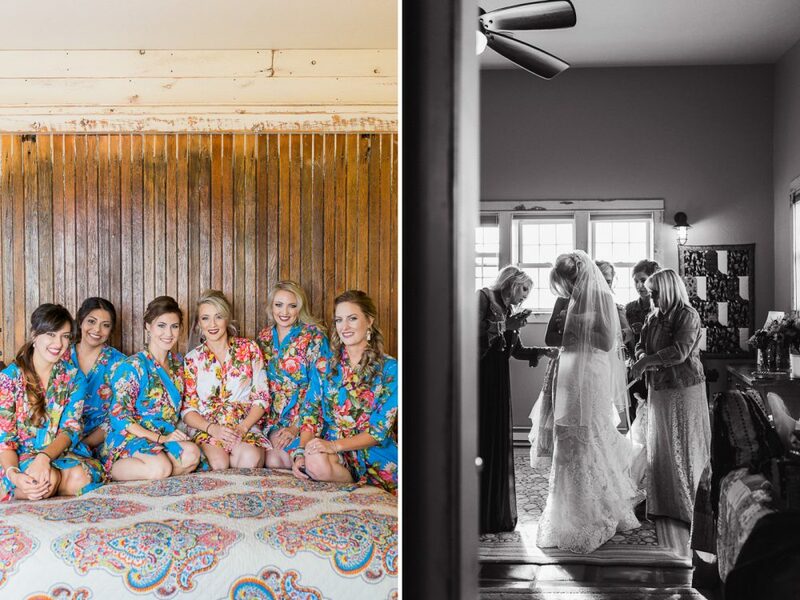 Having a dedicated photographer allows friends and family to relax, put their phones down, and know that these moments are being artfully recorded. Having a cultivated gallery put together by someone who was there just to observe and create art through cultivated photographs, is a beautiful thing! Being able to relive your entire day through the art of photography might not matter to you at all, and in that case, save your money and BUY A BIGGER CAKE! If passing down an heirloom album of images to your grandkids, sharing the day with those who couldn’t attend, or hanging a piece of art from the best day of your life on the wall, and reliving those moments for the rest of your life via beautiful art is important to you, then read on. 2. Do you NEED a professional? Not everyone who needs their wedding day documented needs to hire a professional either! Many factors such as image quality, reliability, knowing your photographer knows when and where to be taking photos without you babysitting them, insurance, back up equipment, back up photographers (you know in case, they break a leg the night before), artistic ability, editing ability, image storage, and technical photography skills (they might be able to nail photos in a controlled lighting environment, but what about when the sun goes down? or when you have to move inside due to rain?) all of these factors come into play when making this decision. If you’re willing to compromise on these you can easily find a friend/nephew/brother’s coworker/stranger willing to photograph your wedding for free or cheap… and I say, Power to you! **A word of caution** If I can offer any advice, do not ask a friend to photograph your wedding for free/cheap. This is a recipe for disaster. They might not live up to your expectations, and you might be sending a message that you prefer them to work your wedding instead of attend it as a guest. Both situations have ruined friendships, left wedding photos untaken, undelivered, and sometimes unattractive. If you’re still reading, then its clear that you DO need to hire a professional! Here’s where to start. 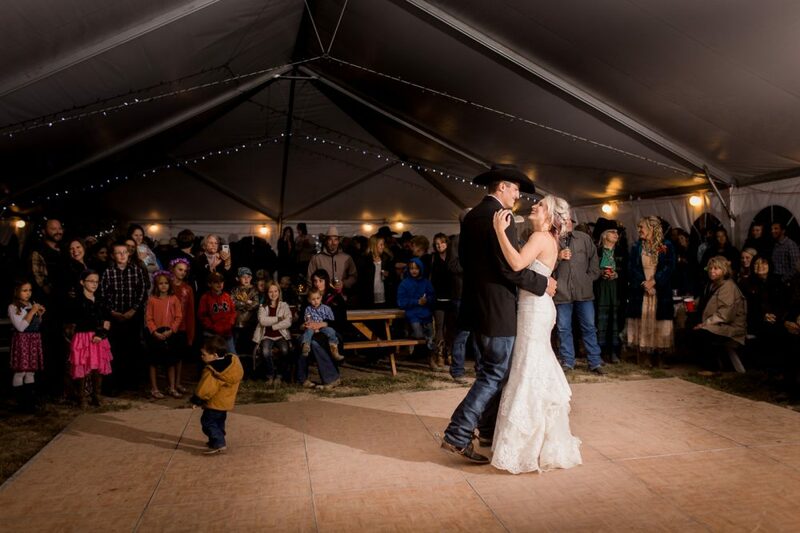 THE most important factor for hiring a photographer to shoot your wedding is their STYLE! If you don’t like their work, why on earth would you hire them! Be choosy in this department. When you’re looking over their gallery, pay special attention to which images are from styled shoots and which are from actual weddings. It’s much easier to make models look AMAZING with stellar locations and unlimited time, than it is to make actual couples look PERFECT in a rushed 10 minutes behind the venue in a back alley somewhere. A good professional can do both, and make magic with a little sliver of good light and a few minutes with a couple in love. Ask to see full galleries, if they hesitate or have a problem showing you full galleries… well, that’s a bad sign. Look for images with REAL PEOPLE, you know, different ages and sizes. See if you still like their style when you remove the glamor and glitter of models and styled shoots. Most professionals will ask to meet with you beforehand. Pick someone you’d feel comfortable being REAL with. 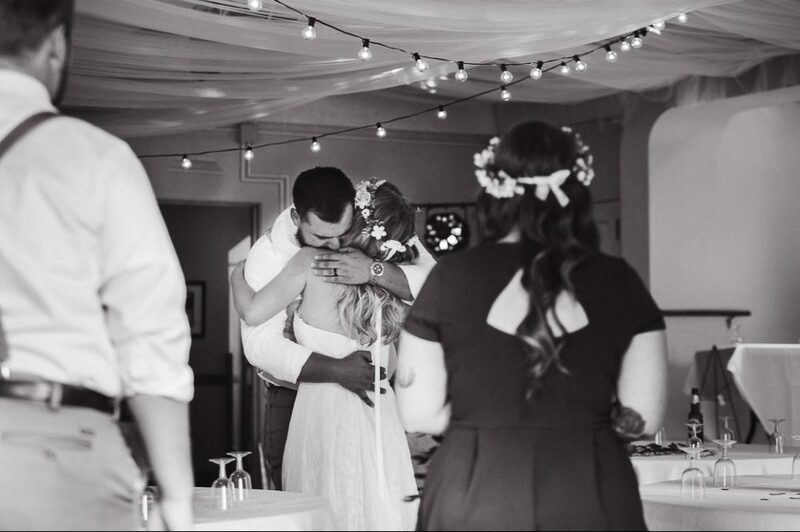 Most couples laugh, cry, freak out, get changed, do shots(lots and lots of shots), dance crazy, make out, show their true feelings, and have a BLAST with me by their side throughout the course of their wedding. 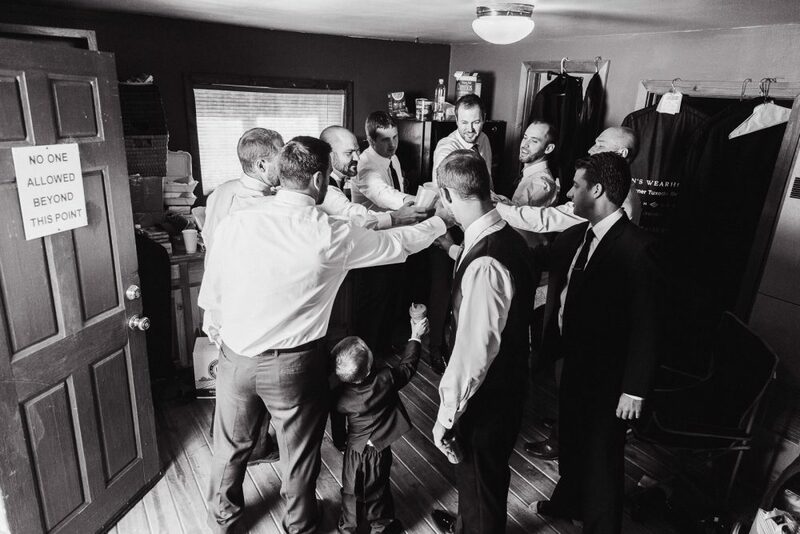 Meet with your photographer and see if you’d be comfortable letting them into these intimate moments. For me, this is the least important factor. How many brides spend $3,000 plus on a dress that they will only wear once, just to go cheap on the photos?! Think about it, no one is ever going to see you in that dress again; SAVE FOR THE PHOTOS! Choosing a photographer that can make you look amazing in anything means you can go cheap on the dress and decorations if you must. Save even more by slimming down your guest list. Trust me when I say, splurging on a good photographer will make your day go smoother, everything (and everyone) look better in the photographs, and you’ll be happier all around. I’ve NEVER heard anyone say, “I wish we’d spent less on the photographer” But I always hear “I wish we had a smaller guest list” or “I wish I’d spent less on my dress”. But I digress…. When you’re looking over packages and pricing, ASK your photographer about the items included in the packages and why. 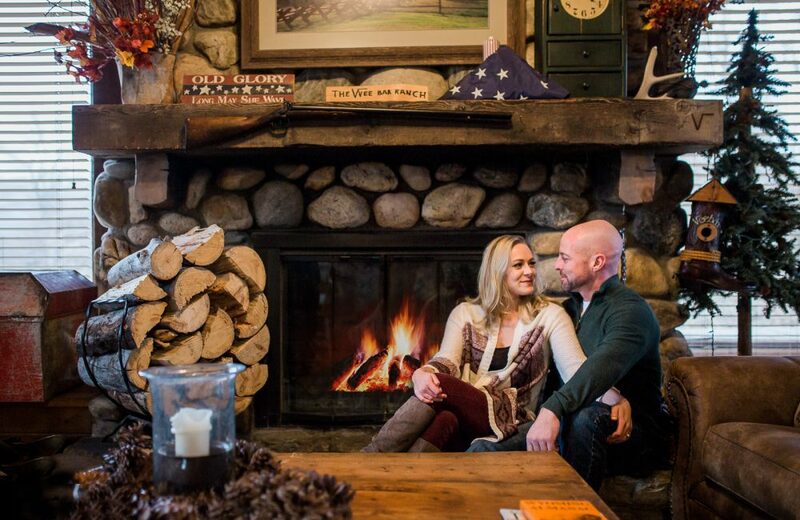 For me, I include engagements and a second shooter in my full packages for very important reasons (ask me why!). The way they explain this should help you get a firm grip on what you need in your package…. and if they cant tell you, run! A good photographer has thought out their pricing and knows exactly why each item is important and it’s value. If they cant answer questions about their packages, most likely they’ve copied and pasted their pricing from another pro without thinking, and that’s a huge red flag. So you’ve fallen in love with their work, their personality, and they meet your budget requirements…The last step is to ensure they will deliver and that the process will go smoothly. Here are some things you can do to make sure all the T’s are crossed and I’s are dotted. Check Facebook, Google, Wedding Wire, and Yelp for reviews. Read the worst reviews and look for response from the photographer. A good business owner will respond quickly to upset customers and get those issues resolved! Sometimes things happen beyond our control, but it’s how you make it right that matters most. Pay close attention to how quickly they respond to your emails and messages. My goal is always 24 hours. You better believe that if it takes them weeks to reply when you’re inquiring, it’ll take even longer to get a response when they have the added workload of editing your images. If it’s a local wedding, ask other vendors. Most wedding vendors work together so often that they build relationships. 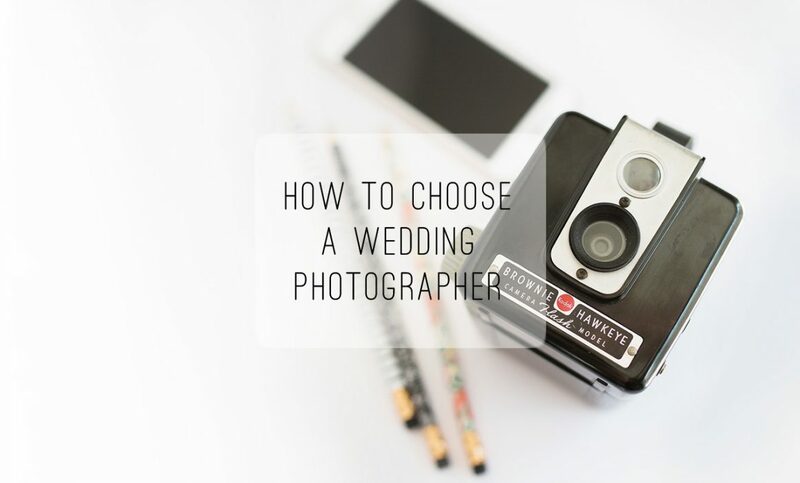 Ask your florist, venue, cake decorator, or bridal shop who their favorite photographers are to work with. See what they say! Experience is key! Surprisingly photographing a wedding is a lot more involved than just showing up with a nice camera and taking pretty pictures. A good wedding photographer knows when and where they need to be to capture the important stuff. They know how to improvise and stay on their feet when stuff doesn’t go as planned(hint: it never does). Ask how many weddings they’ve shot! That’s it! Thanks so much for reading, please take a moment to tell me what you think! Comment below, or share this post. Did I miss anything? Love it? Hate it? I want to know. 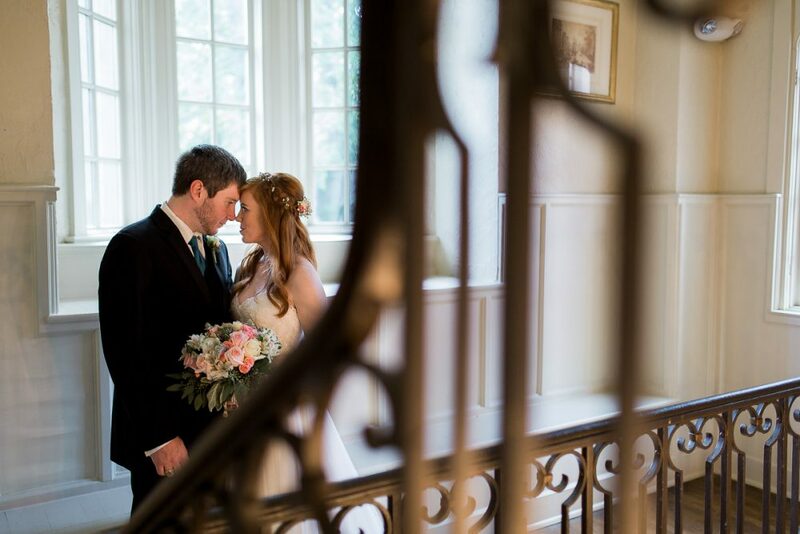 If you need help finding a wedding photographer for your wedding, please get in touch! I’ll be happy to help you look at your options and (even if it isn’t me) I’m always happy to answer any questions. I’m really glad that you mentioned it’s important to find a photography that you are comfortable with. After all, this seems like the best way to get the most natural and realistic photos. Not only that, but meeting with them in advance could also help them learn more about your relationship and think of some shots that can really showcase that. I like your suggestion to pay attention to their response time, since they’ll probably make you wait for your edited images if they’re making you wait now. My sister will be getting married soon and asked for my help finding a photographer. I hadn’t considered the importance of a fast response time, so thanks for sharing that tip! My cousin is getting married at the end of the year but still hasn’t booked a photographer. I like your point about choosing someone that you’re comfortable having around for intimate moments. I’ll suggest he find someone like this so it’s like he or she isn’t even there during his big moments. I liked how you said that you need to find someone you feel comfortable being real with. My sister has been wondering what kind of photographer she should look for. I think that this is definitely something that she should look out for and be sure of before hiring a photographer for her wedding.